Gili Air: Well this was a bit complicated, once we arrived my boyfriend got what we would call the Gili-Belly. This made the exploration of the bounty candy bar island a little less exciting because going off on your own isn’t that much fun when your loveydovey isn’t feeling well. I guess on the other hand this is the best Island to be sick on because it’s so beautiful that it helps you feel a little less bad. But to describe the essence, it was a clear contrast to that of Amed as Gili Air had white sandy beaches (instead of the black sand on Amed’s beaches) and tropical green & turquoise waters that gulfed up with a booming rhythm. The island isn’t fertile like its neighbors (the black sand of the other Islands is due to volcanic activity which makes the soil really fertile), thus Gili Air has to import everything…and I mean everything from it’s big father Lombok. Even the coconuts that grow here taste differently. 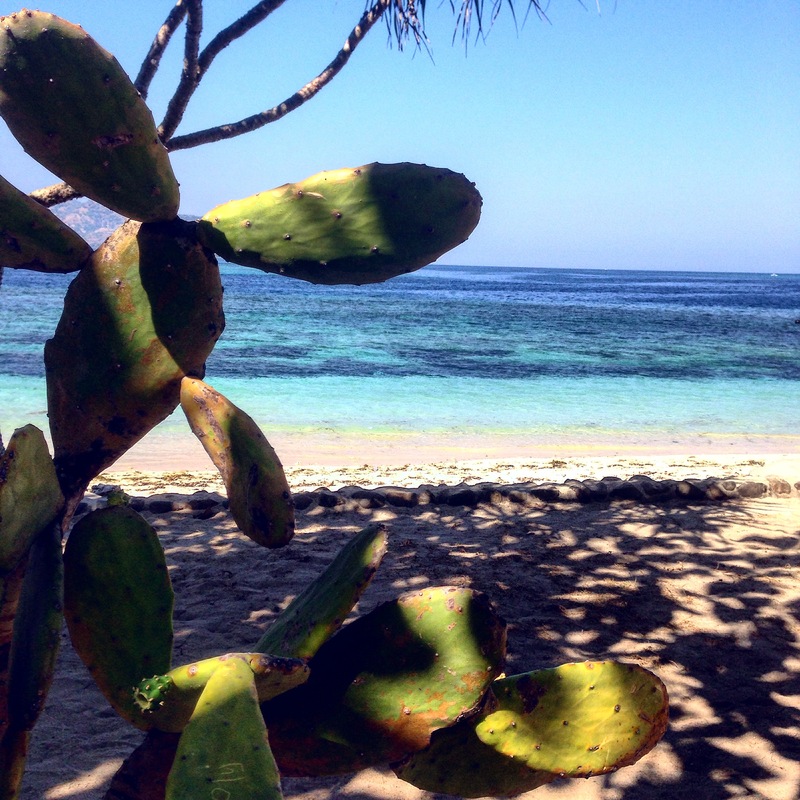 A sweet mix of Pirates of the Caribbean and Mexico is created by the small wooden cabins and restaurants on the sandy white beaches decorated with prickly cactuses and soft fluffy cushions to melt in while looking over the green rippled water. 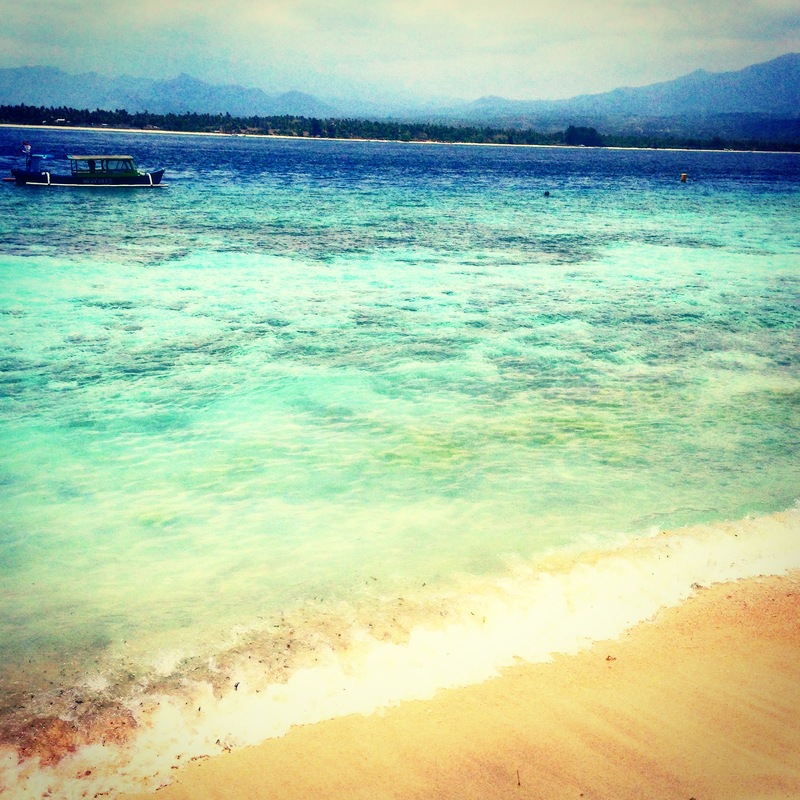 On the left side of the island you’ll find the best snorkeling area ever: the Gili Air Wall. On the right the entire coast line is covered with touristic hotspots. You can walk around the entire island within 1,5 hours. Use a few Indonesian terms and the locals will laugh friendly: Selamat Pagie (good morning) or Apa kabar? (how are you) or Baik baik, dan anda (good good, and you) or Enak sekali (it’s delicious) or Terima kasih (thank you). After your visit, take a boat to Nusa Lembongan which is 1,5 hours but, make sure you bargain a bit we started off with 700,000 Rupiah and got the tickets for 450,000 pp in the end and traveled with the company Eka Jaja. 7seas: Oh my lordy lord this was HORRIBLE, a booking gone completely wrong. But hé it’s part of the journey right? We arrived there and thought wow this is great: right next to the harbor and beach and we saw a few cabins that looked really nice. But then, while following the hotel staff we drifted further and further away from the sun and into a smelly, moldy, dark, and dirty room: IEK! 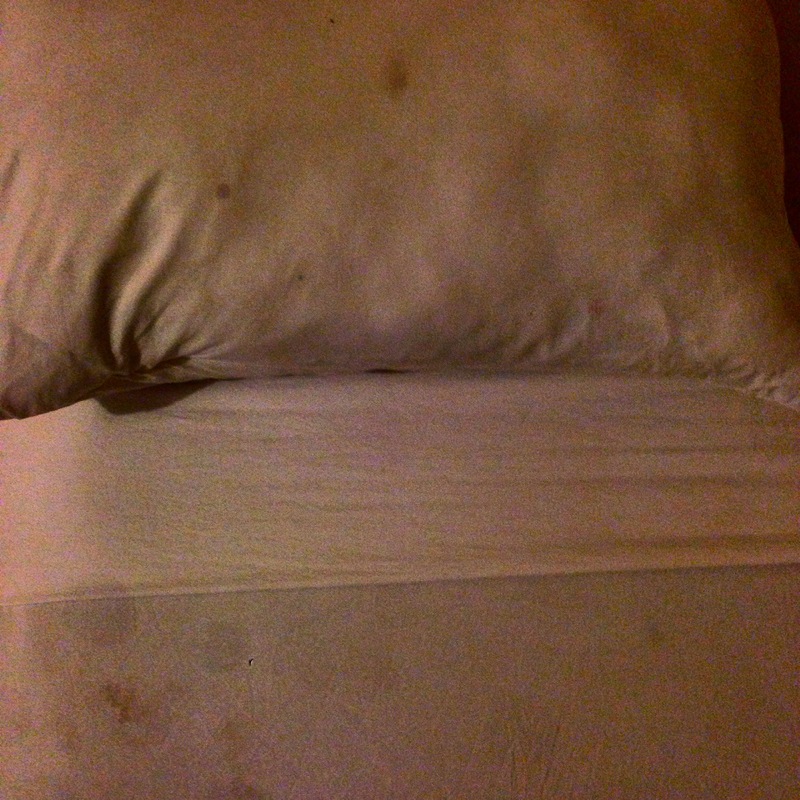 The sheets were gross and stiff, the towels had stains on them and the AC had a toxic smell to it. Plus the room didn’t have a mosquito net while there def were things stinging plus this was a hotel that we paid the most for throughout our trip (44 euro per night). The breakfast was also a real downer: the menu said juice and coffee but were all made from powder and instant coffee. For fresh juice and coffee (like we had in all the other hotels) we had to pay extra. Yup but, yeah know it’s all part of the experience and the plus side was that we were right near the beach. Plus the staff behind the reception were really really nice, but still… Hitchcocks famous Psycho tune can be heard from far away. 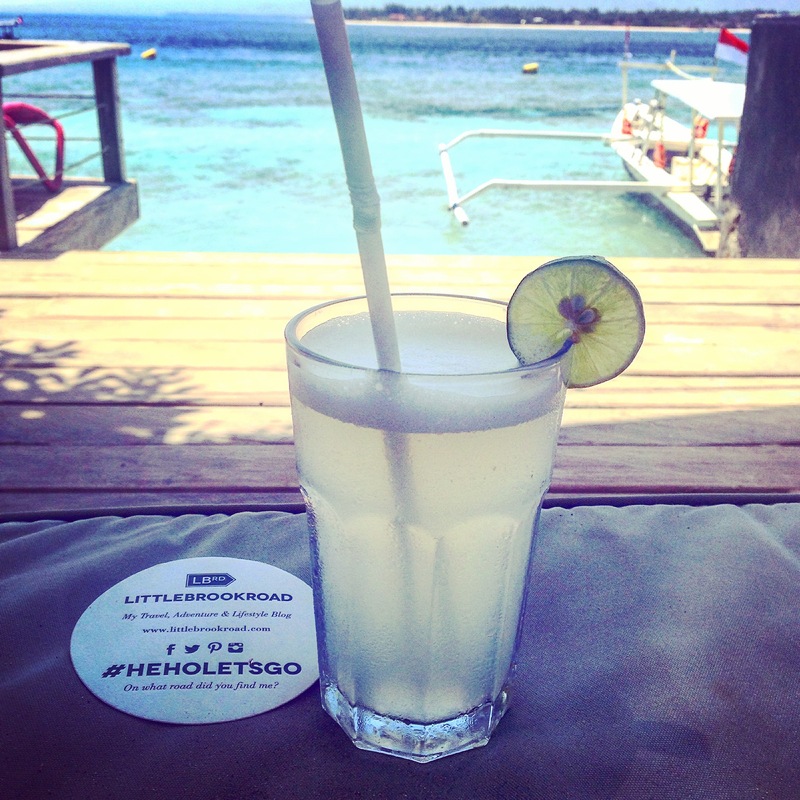 Chill Out: Passing the jetset niveau riche lounge club Scallywag on the east side of Gili Air, you’ll find a few smaller beach cafés and Warungs that have more soul and good food such as the Chill Out. Whereas the Scallywag you have to pay 100,000 Rupiah per bed before even ordering anything nice to eat, the Chill Out has wooden lounge sets with big fluffy cushions and in front you can sit for free in one of their comfy lounge beds that offer a view of turquoise water and a good snorkeling area. The staff is really friendly and they have great food! Try the Olah Olah (35,000 Rupiah) which is a vegetarian dish with coconut milk, long beans, water spinach, grilled aubergine, red onion, garlic and coconut milk that served together with a bowl of yummy rice. We relaxed the whole day here and swam in the crystal clear water while sipping away fresh pineapple juice and lemon juice. 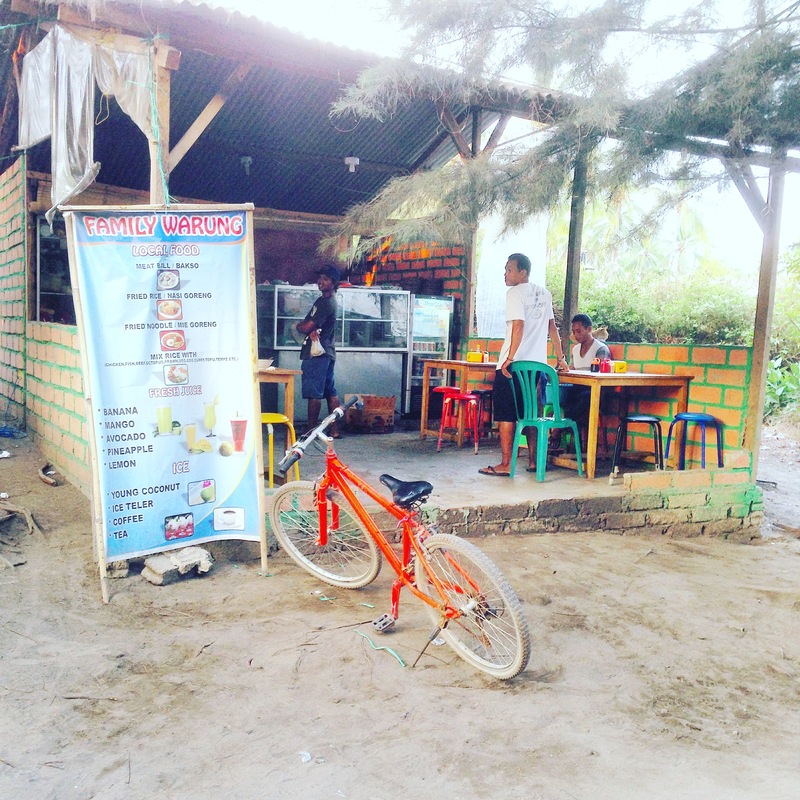 Family Warung: Ok so don’t get to dressed up but you can definitely have expectations! For 25,000 you can get the most lovely dovely yummy local food ever! If you saw it I think you’d quickly pick up the pace to walk past it but seriously it’s a hidden gem! Make sure you don’t eat to late there because then everything will be gone or at the end of the day it’s less fresh. 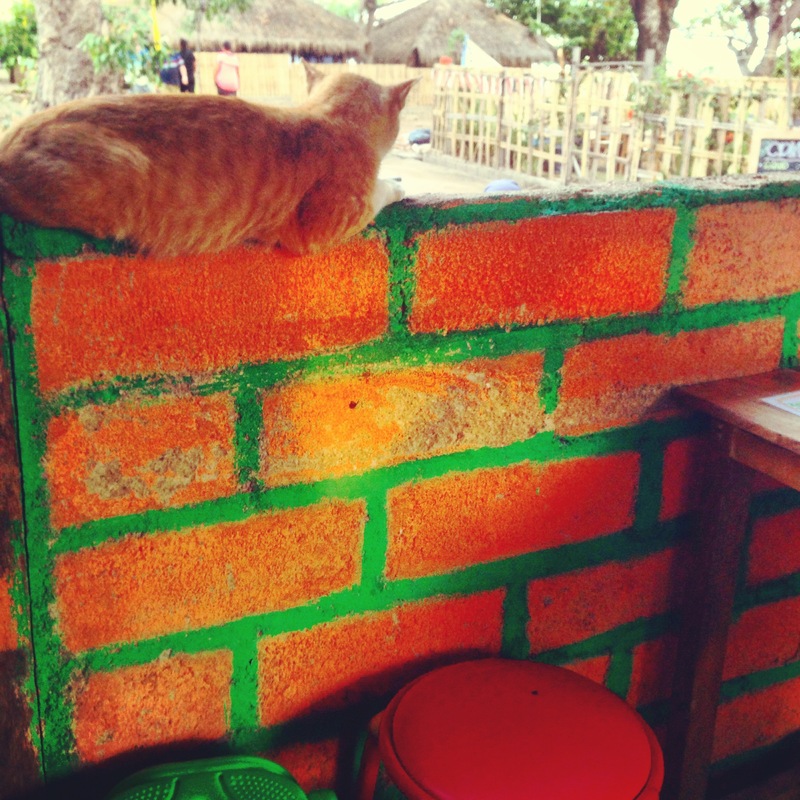 The people are really friendly at Family Warung and they have 3 red cats (which match the red bricks of the Warung), eyeing you waiting for a piece of noodles to flop on the ground. Le Cirque: A hip trendy café that is known for it’s French patisseries but also has great fresh juices. The view from the lounge beds is relaxing and the café/bar gives you the feeling of being in the Cote D’ Azure on a hot summery day. Watch the boats roll in and out while sipping away your fav fruit juice. Plus, the wifi is the shizzle here. This is were I wrote you this inspring post! Horses: Jingle bell jingle bell, jingle bell rock! Ho Ho Ho Merry… wait what? 35 degrees and I’m thinking it’s Christmas? 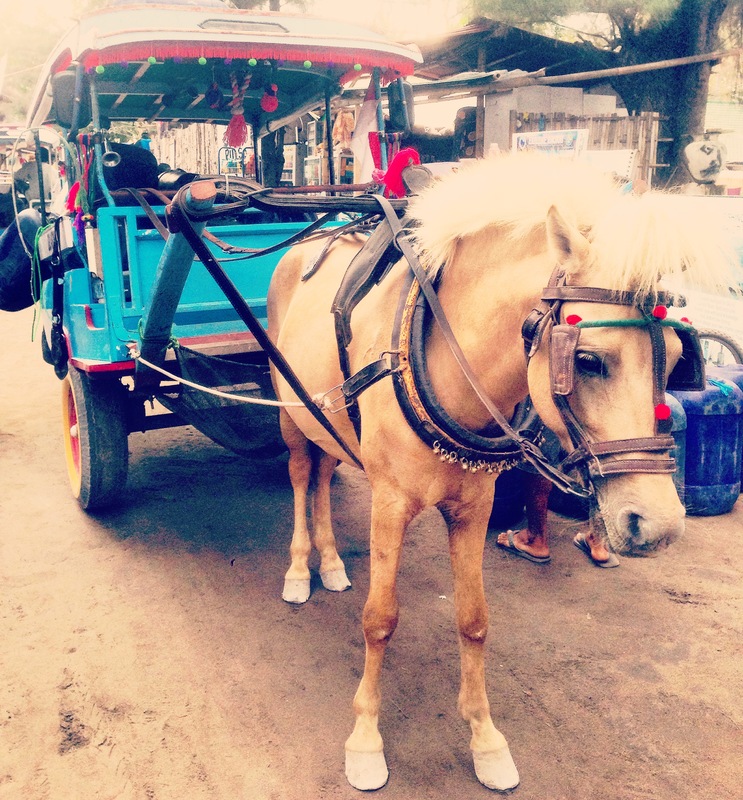 On Gili Air you’ll hear the rinkling sound of small bells but it’s not Santa, it’s his little work horses. On the island there are only 2 ways of transportation: per bike or per horse carriage. The horses are decorated beautifully with colorful yarn and metal studs plus around their ankles and neck are little bells. Too close to the carriage, you’ll be warned with a large full bodied not so charming honk. Remember to always walk on the left (like in England the cars/horses drive on the opposite side of the road in Indonesia). 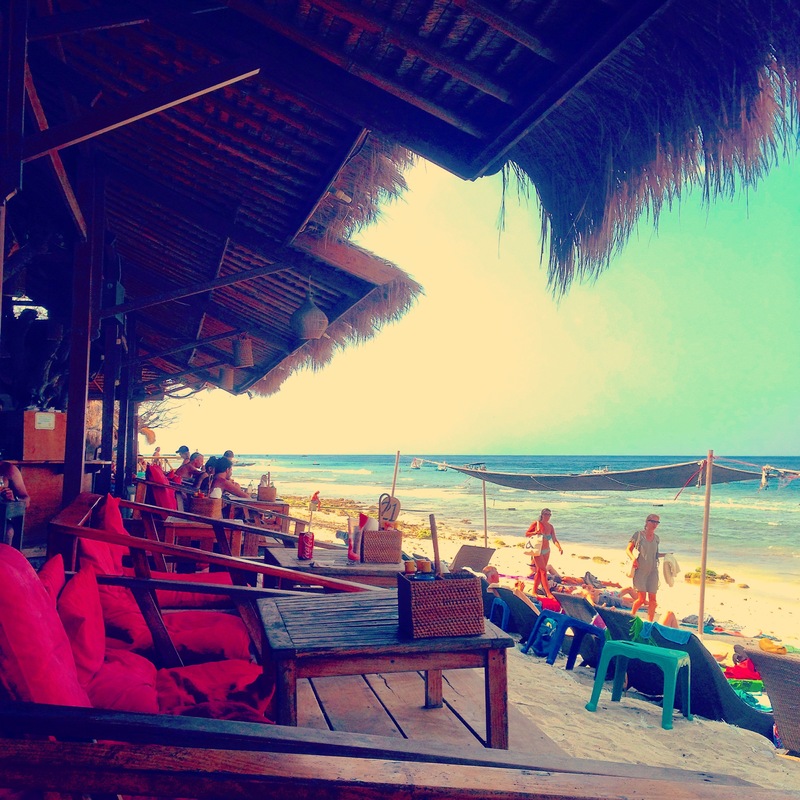 Beach: The Gili’s are famous for their breath taking bounty bar beaches. The water is mellow and you almost don’t even need to rent snorkel gear because you can see right through the crystal water. If you do decide to go snorkeling which is great at the Gili Air Wall, on the left of the beach, be on the lookout for the turtles! Locals know that the tourists love the turtles so much that they bring baby turtles from Gili Meno (the island next door) and set them free on Air so that this becomes a tourist attraction. A bit sad if you think about it. Did the wind pick up and the waves start rolling in? Watch out with swimming the jellyfish are on their way slicing and dicing through your skin. See many tourists jump out of the water holding their hand over a piece of their red skin. Don’t worry though they’re not dangerous. De scooter rit was super leuk! Thanks voor de tip! De brug was wel heel eng, maar ook spannend! We zijn ook gaan snorkelen rondom Penida, maar begrepen inderdaad van locals dat er vroeger meer Mantarays waren dan nu en door de toeristen ze minder vaak te zien zijn. Word te druk voor ze, maar gelukkig hadden wij mazzel! Wat een gigantische beesten! Liefs van Gijs en mij! Wat weer geweldig. Lek geprikt en niet geslapen? Hoeveel kost een roepie? Schildpadden kunnen goed bijten dat weet je toch? In Koeala L rookt het erg door bosbranden op Sumatra. Wanneer gaan jullie daar naar toe? Het ga je goed en blijf voorzichtig! Weer een leuk en interssant verhaal ! De mangrovebossen lijken me fantastisch ,het surfen iets minder leuk ,maar het klapstuk is toch wel die leuke plek waar jullie nacht hebben doorgebracht .Geen muskietennet geen schone lakens en handdoeken Brrrrr Zijn jullie schoenen nog niet versleten door al dat lopen ? En hoe gaat het met Gijs ? Ik ben een vriend van een vriend van je op fb. Kwam hierdoor op je mooie blog terecht. Zit nu op gili trawangan en ga morgen naar gili air. Was er 7 jaar geleden en mijn beach house is nergens meer te vinden. Hebben jullie uiteindelijk ergens anders verbleven? Tip? Hartstikke leuk dat je een berichtje stuurt. 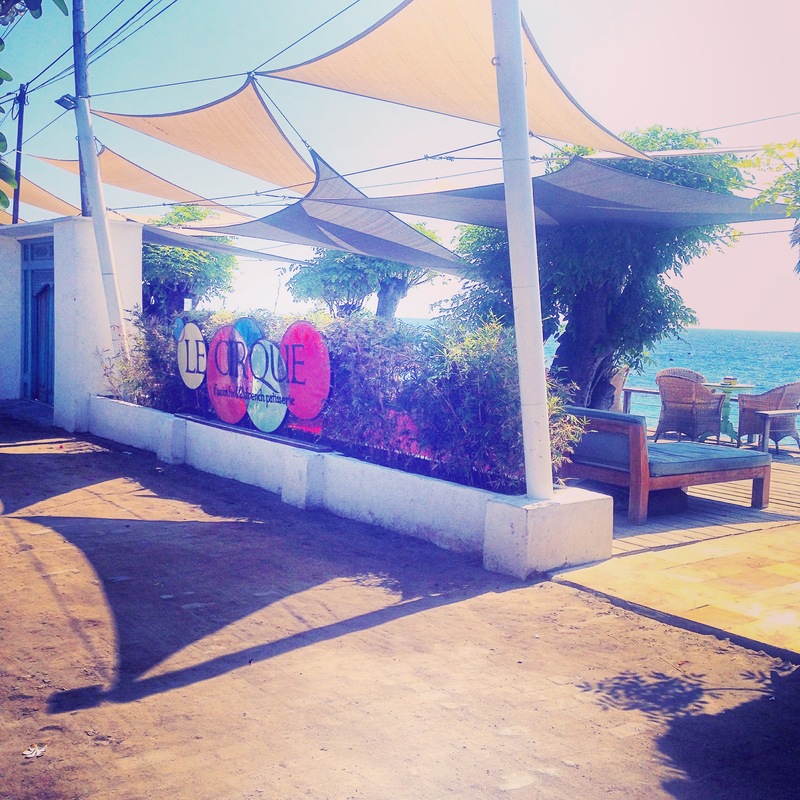 Helaas zijn wij voor die paar dagen niet naar een ander hotel gegaan (bleh), maar misschien zijn dit leuke tips: Sunrise Resort, Begadang Backpackers, Turtle Beach, Casa Mia of Kai’s Beach House. Het ligt ook aan je budget maar moet zeggen dat ik veel succes ook heb gehad met Booking en AirBnB tijdens mijn reis. Wat ook een tip is: als je vroeg aan komt, laat je rugzak ergens veilig bij een restaurant en ga verder te voet zoeken. Zo kom je ook veel leuke dingen tegen die niet op het internet staan. Vanavond afscheidsdiner met Mihel gehad, heel erg leuk. En nu heb ik van Justin de juiste link met jullie gekregen. Lees dat jullie erg genieten. Ga zo door! Liefs, Tineke. Lieve Tineke, Wat ontzettend leuk te horen! We hebben het inderdaad heel erg lekker hier, we houden je op de hoogte ;)! Groetjes en liefs van ons!